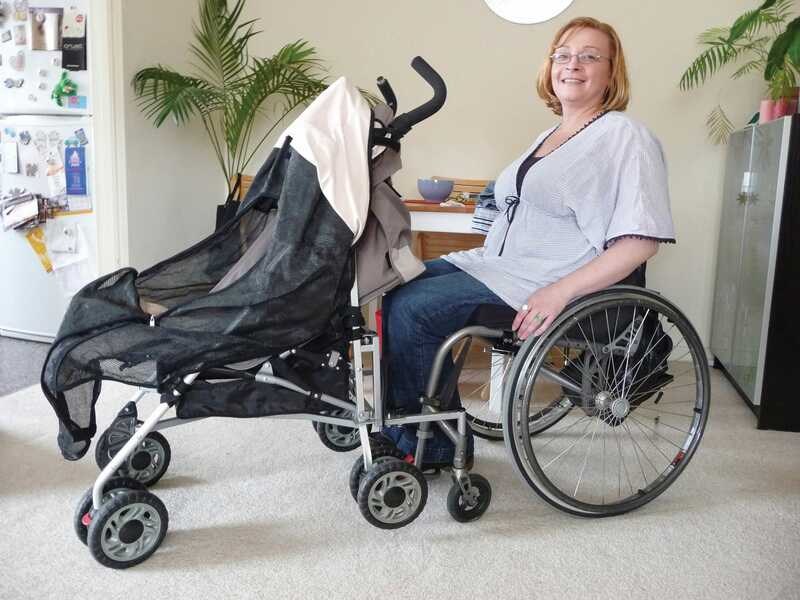 When Julia became pregnant, she knew that she would need to be very organised in order to care for her baby, as she has a spinal cord injury and uses a manual wheelchair. Julia had read various TAD articles about projects for mothers with a disability. In particular, she had read the article about volunteer Barry Lees’ ingenious linking device that enabled another mother to push her baby’s pram from her wheelchair. Julia therefore contacted TAD when she was five months pregnant for assistance with pushing her baby’s stroller, and also with accessing a bassinet. 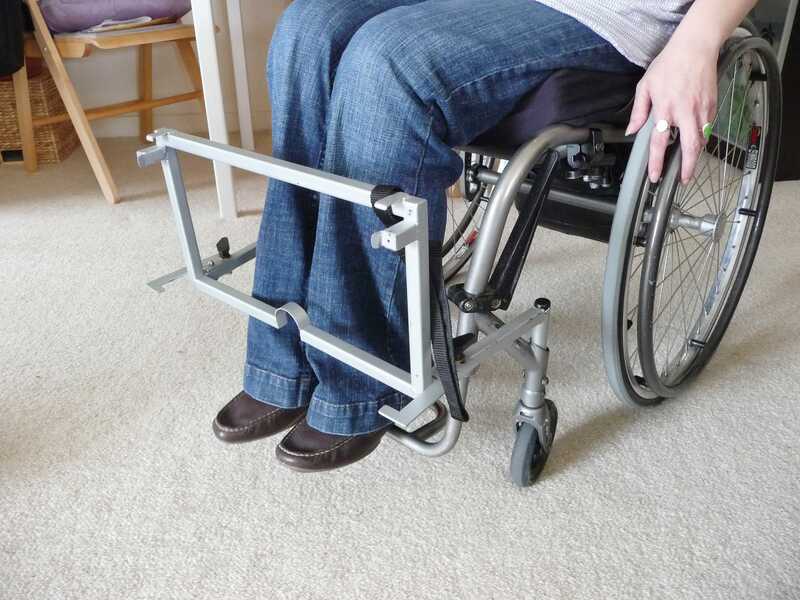 Like the previous wheelchair user, Julia would be able to push a stroller short distances over smooth surfaces with one hand pushing the stroller and the other wheeling her chair. However this would be very tiring over longer distances, and very difficult over carpet or uneven terrain, hence the need for a linking device. Julia identified the stroller that she was thinking about buying, and Barry went along to see if it was suitable for adaptation. It is very important that people consult TAD before buying equipment to be modified, as some items or models may be unsuitable or very difficult to adapt. One of Barry’s goals in both cases was to minimise the length of the wheelchair and stroller when they were joined together. This proved to be easier with the stroller than with the pram, as the back wheels didn’t stick out so far. The stroller has swivelling wheels at the front and fixed wheels at the back. 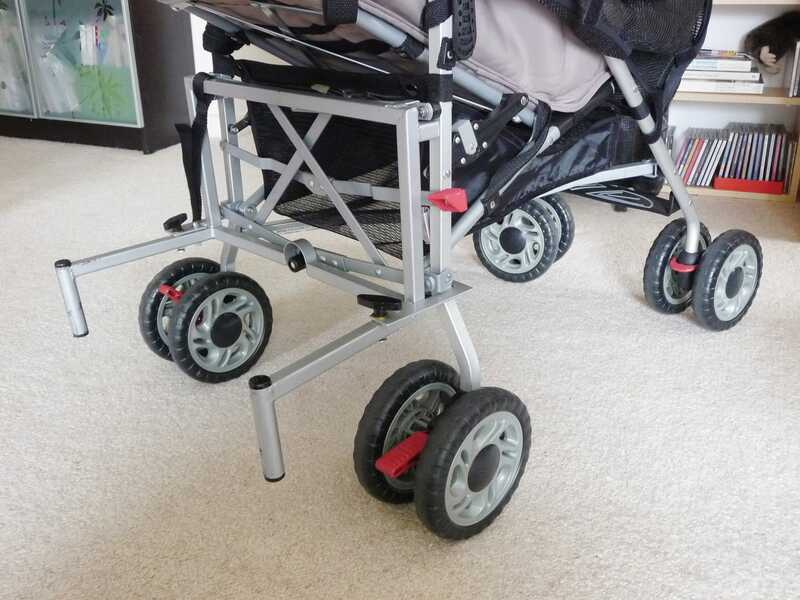 This meant that the linking device also needed to lift the back wheels of the stroller off the ground, so that the stroller can move sideways when Julia turns a corner. Barry’s linking device is made from very light square steel tube, and hooks onto to the crossbar at the back of the stroller. “This is really just to help Julia position the link, as she needs to be able to fit it with one hand so she doesn’t overbalance,” Barry said. She then locks the link onto the stroller using swivelling hooks which turn through a small arc and are fixed in place with thumb-screws. The wheelchair end of the link has vertical tubes which drop into larger diameter tubes on the wheelchair. The clearance between the two tubes allows the stroller to move around when travelling over rough ground or changes in slope – if there was no clearance the link would bend or break. The tubes on the wheelchair are the mounts for the front castors, but after removing the rubber stopper, they were also just right for holding the link. The wheelchair is made from titanium alloy that is difficult to drill or weld, so Barry would otherwise have had to clamp on suitable tubes. “Sometimes you just get lucky,” he said. A final touch was to add a strap which goes around both the stroller and the wheelchair, just in case the link somehow becomes disconnected. “I call this a ‘whoops strap’,” Barry said. Julia’s son Levi is now 6 months old, and she takes him out in the stroller several times a week. She says that the linking device has been a great success. “I’m very grateful – it worked out better than I expected,” she said. “People constantly stop us in the street and say how amazing it is – it gets constant attention.” Julia had also bought a bassinet with a wooden support frame which had cross members on all four sides just above the castors. These cross members meant that Julia wasn’t able to get her wheelchair very close to the bassinet. 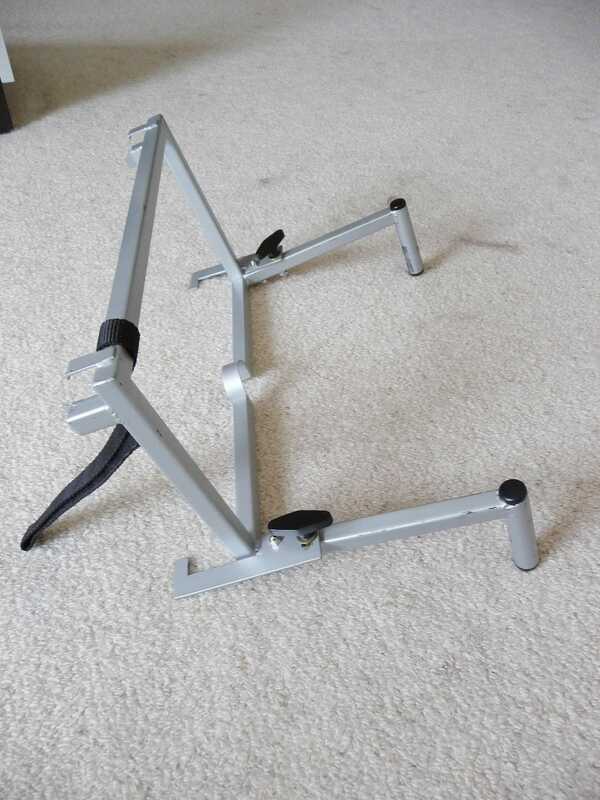 It wasn’t possible to completely remove the cross member on one side, as this would compromise the structure of the frame. Volunteer Bruce Hattersley therefore moved one cross member inwards by about 100mm. This small modification is crucial, as it allows Julia to get closer to the bassinet when she is lifting Levi in and out, and reduces the distance that she has to bend. This is particularly important as Levi has turned out to be a quite a large baby, and she is already having some problems with her hands from lifting him.